New United States research has found that post-menopausal women who drink more than two diet drinks each day may have a higher risk of stroke. Led by researchers at the Albert Einstein College of Medicine in the Bronx, New York, the new large-scale study looked at 81,714 post-menopausal women taking part in the Women’s Health Initiative study. The women were age 50 to 79 years at the start of the study, and followed for an average of 11.9 years. During an evaluation three years into the study, the women were asked to report on how often they had consumed diet drinks such as low-calorie, artificially-sweetened colas, sodas and fruit drinks in the last three months. The researchers then adjusted the findings to take into account various stroke risk factors such as age, high blood pressure and smoking. The findings, published in Stroke, a journal of the American Heart Association, showed that when compared to women who drank diet drinks less than once a week or not at all, women who consumed two or more artificially sweetened beverages each day were 23 percent more likely to have a stroke, 31 percent more likely to have a clot-caused (ischemic) stroke, 29 percent more likely to develop heart disease and experience a fatal or non-fatal heart attack, and 16 percent more likely to die from any cause. In addition, obese women and African-American women without previous heart disease or diabetes appeared to be at an even higher risk of a clot-caused stroke. “Many well-meaning people, especially those who are overweight or obese, drink low-calorie sweetened drinks to cut calories in their diet. Our research and other observational studies have shown that artificially sweetened beverages may not be harmless and high consumption is associated with a higher risk of stroke and heart disease,” said lead author of the study Yasmin Mossavar-Rahmani, Ph.D.
“We don’t know specifically what types of artificially sweetened beverages they were consuming, so we don’t know which artificial sweeteners may be harmful and which may be harmless,” she added. 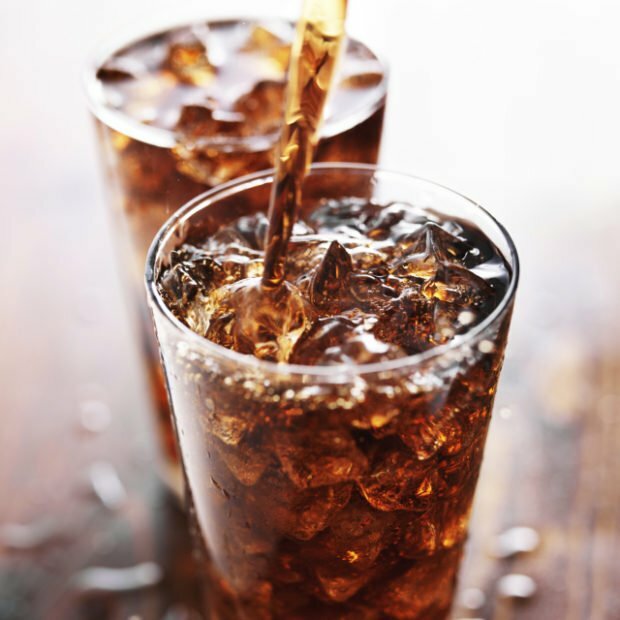 The study is one of the first to investigate the association between drinking artificially sweetened beverages and the risk of specific types of stroke in a large, racially diverse group of postmenopausal women. However, the researchers note that as an observational study based on self-reported information it cannot prove cause and effect, and the findings may not be generalizable to men or younger women.